The TC35i Terminal is a Dual-Band device which has been specially designed for voice and fax communication and applications transmitting a low volume of data. The wireless communications unit is protected by robust industrial housing that also features a series of standard connectors and a SIM cardholder. 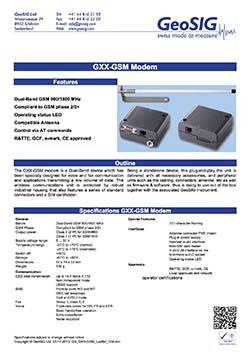 Being a standalone device, this plug-and-play solution, comes equipped with standard connectors for power supply, antenna, serial port, and handset. On account of its focus on GSM communication, and its robust casing, the TC35i Terminal is particularly suited for M2M applications with a low data transfer volume. This makes it a product that can be employed in a wide range of business fields – metering, remote maintenance, transportation and logistics, traffic systems, vending machines, security, and facility management. Besides this, the TC35i Terminal also comes with a range of approvals permitting its use in conjunction with mobile networks around the globe. Thanks to its full type approval (FTA), you’ll be able to keep your certification costs down and consequently lower the total cost of ownership for your application as well. This area can be used for a final sales message.